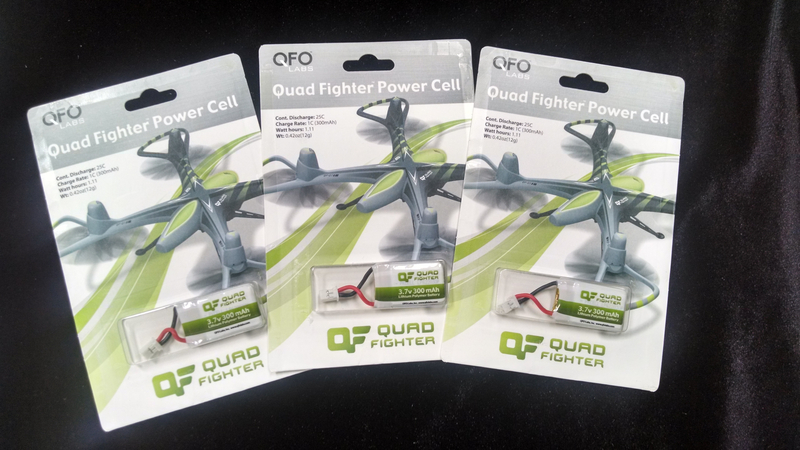 Genuine Quad Fighter Power Cell – 3 Pack | QFO Labs, Inc.
Posted May 16th, 2014 by admin & filed under . Stay in the game with 3 extra batteries for your Quad Fighter. 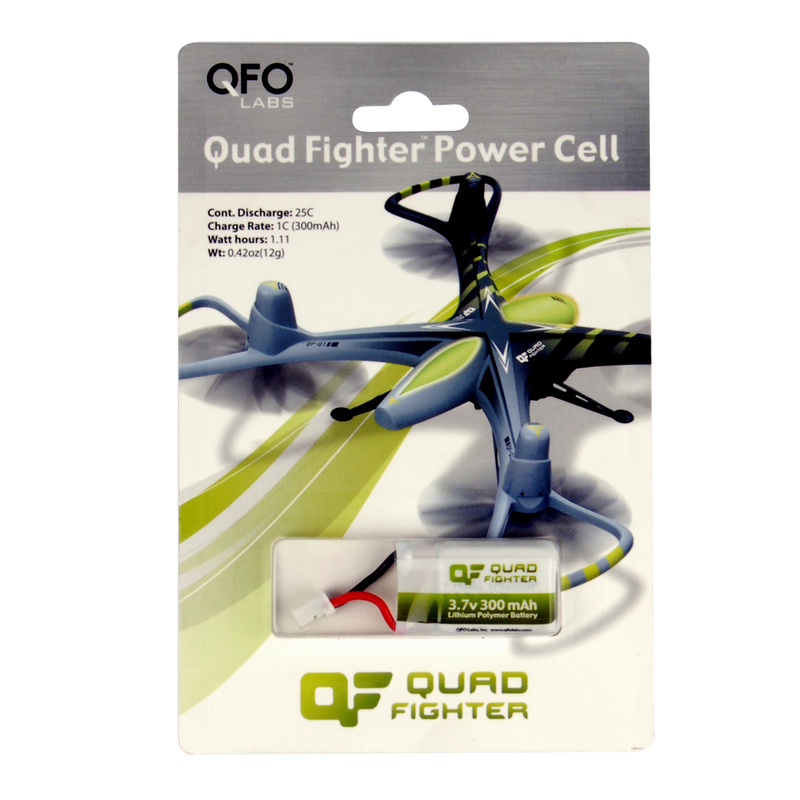 The Quad Fighter Power Cell is designed to fit in the battery compartment and has a special connector to provide a secure connection to the control board. 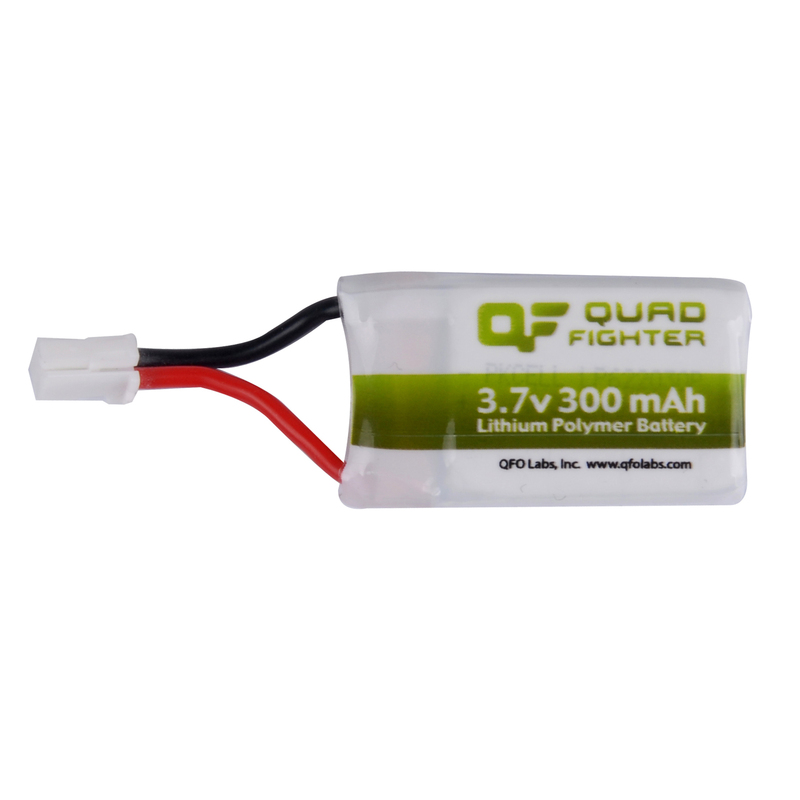 The batteries for the Quad Fighter are state of the art Lithium Polymer batteries. These batteries hold a lot of power in a small package. Because of this power density they must be treated with care. If your battery shows signs of physical damage (large dents, broken foil or loose wires) do not use that battery, replace it. 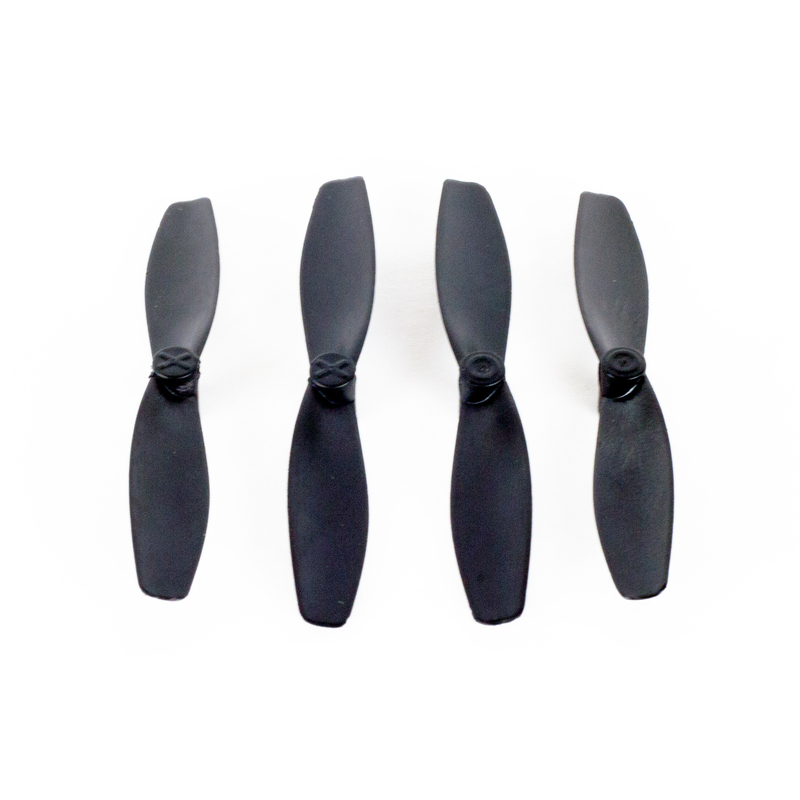 Keep flying with 3 more genuine Quad Fighter replacement batteries. 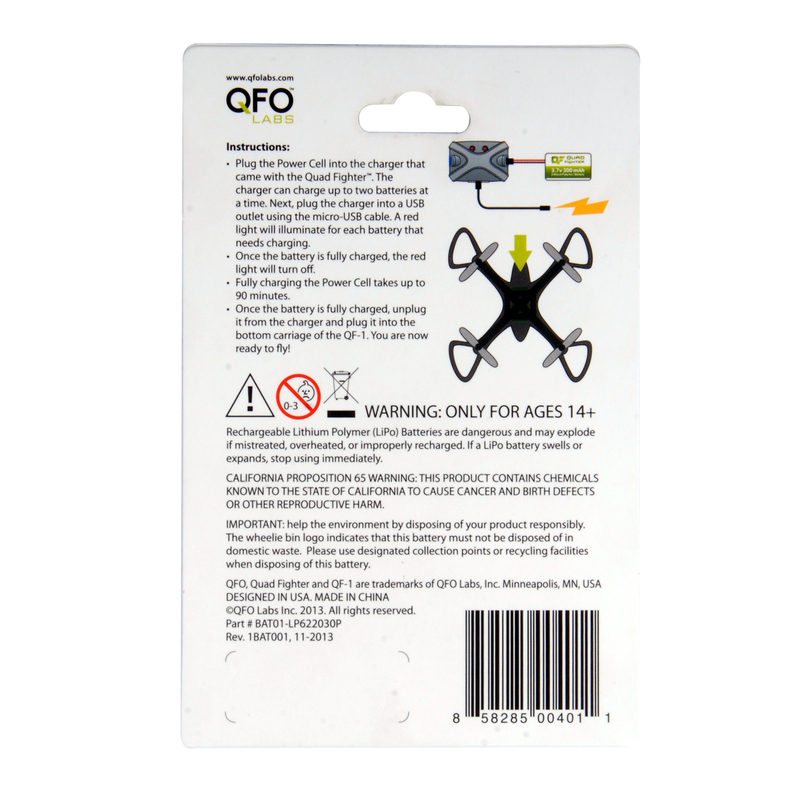 These 3.7V, 300 mAh, 25C discharge lithium polymer batteries will keep you flying. More batteries means more action! This is the same Quad Fighter battery but in a three pack. 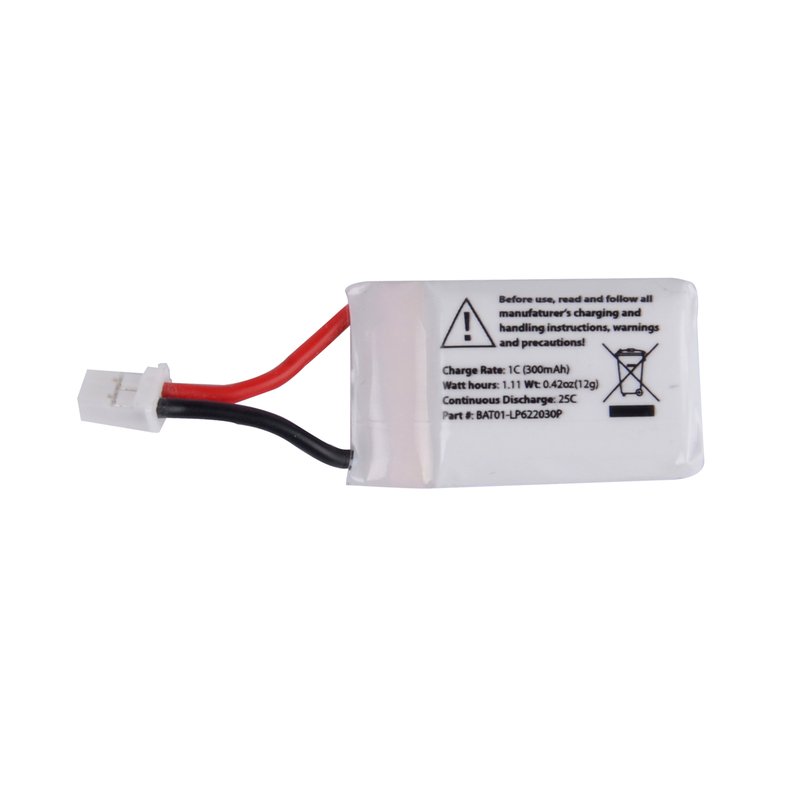 Lithium Polymer batteries have a very high power density. Because of this they should be examined carefully and replaced if they show any signs of physical damage. Our batteries contain a safety circuit to protect them from electrical damage that may result from excessive current draw caused by a short or electrical defect. If you battery appears to be “swollen” or “puffy” do not charge or use that battery. Dispose of damaged batteries according to your local rules and regulations. 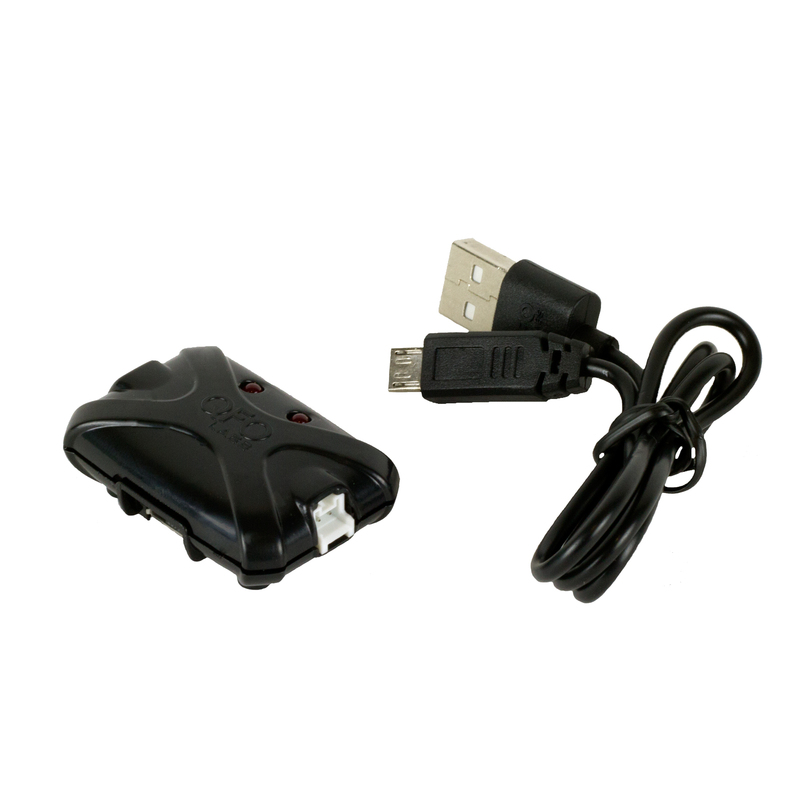 Do not leave Lithium Polymer batteries unattended during charging. These types of batteries always carry a risk of fire due to overheating during charging or discharging.